Recent studies on the use of the IoT in manufacturing have shown that although its adoption is increasing in popularity, many manufacturers are yet to make quality use of the data gained. Machine to machine connections can provide valuable real-time insights on customer engagement, the wider supply chain and multiple facets of plant operational procedures. The key is taking this data and actively making decisions to streamline efficiencies. 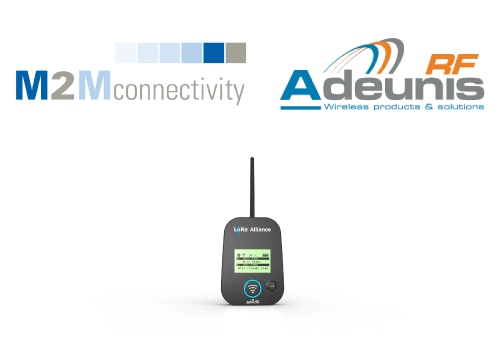 M2M Connectivity are proud to announce our new partnership with French IoT and M2M wireless solutions provider, Adeunis RF. Currently in stock is the Adeunis LoRaWAN 902-928MHz Field Test Device, suitable for applications like sensor networks, asset tracking, smart buildings, metering, security. Sierra Wireless offer a range of modules for your IoT | M2M project. Currently the WP and HL Series 3G | 4G | LTE Cat-1 modules in the CF3™ form factor offer voice, roaming, fixed and mobile application options. The next link in the technology chain will be the availability of LPWA solutions, available in the WP and HL Next Gen Series of modules. In addition, the FX30 3G IoT gateway is pre-certified for large deployments. Read More or Contact us for more information on this service. Libelium Plug & Sense!, the wireless sensor platform for your IoT, adds compatibility with industrial protocols RS-232, RS-485, CAN-Bus, Modbus and 4-20mA. The new industrial protocol modules and API libraries allow you to easily connect and send data from your industrial devices to the Cloud.